I am very pleased to share with you this new goal. Thanks to all my clients who have contributed with their reviews to make me get this certificate. The realization of the Line 1 of Naples underground allowed the reconstruction of the landscape, the topography and the functions of the coast between the sites of Partenope and Neapolis. The station of Piazza Municipio stands inside an ancient creek, that used to stretch out on a tuff promontory from Castel Nuovo to the Ferry station and the area around the Church di Santa Maria di Porto Salvo. In the Piazza Municipio have been brought to light the I century A.C. ruins of an harbour (whose deepest seabed are notched by dredgings datable between the end of the IV century and the second half of the III century B.C.) with a quay in calcareous rock supported by wooden poles, perpendicular to the coastline, along which were abandoned two boats ( shipwreck A and C) and a third one (shipwreck B) of the end of the II and beginning of the III century A.C. At the beginning of the V century A.C., the harbor basin became swampy; the piazza Municipio, during the Middle Ages, was characterized by the presence of house ruins around the Castel Nuovo, destroyed at the beginning of the 16th century for the construction of bastions. 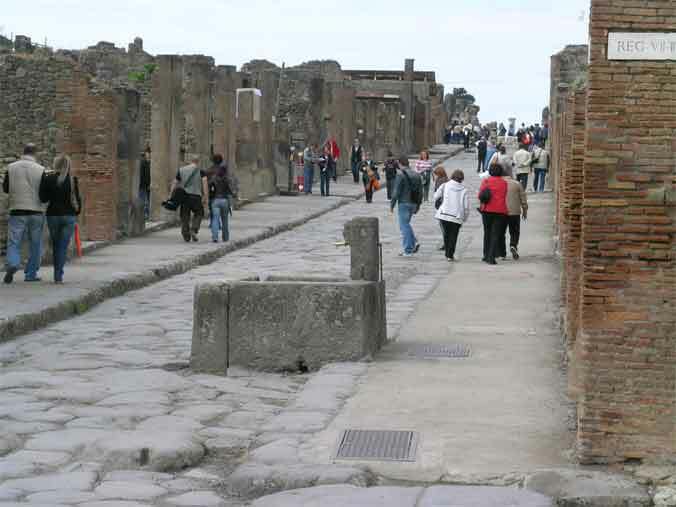 Of all the ancient Rome tours, a visit to Pompeii is a must while staying in Italy. Nowhere else will you see history so well preserved. The story behind this famous place is laid bare as you wander around the streets between former houses and brothels. You will see the last moments in the lives of the people of Pompeii that were captured by the erupting volcano. From Rome tourists can take two modern and comfortable high-speed trains getting Naples in 1h:10min. 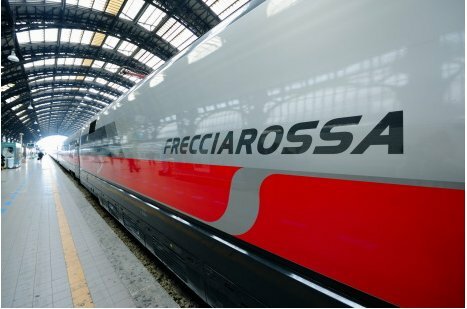 The trains are called “Italo” and “Frecciarossa“; return tickets cost between 80 and 100 euros. Sometimes there’s the possibility to get discounts booking a couple of months in advance. From Naples the best way to get Pompeii or Herculaneum is by Circumvesuviana local train. The trip lasts 30 minutes; stop at “Pompei Villa dei Misteri” 100 meters away from the main gate of the excavations called “Porta Marina Superiore”. The return ticket cost 4, 50 euro. Contact me to arrange a great walking tour!